Commemorating the opening of the Second Vatican Council (Vatican II). 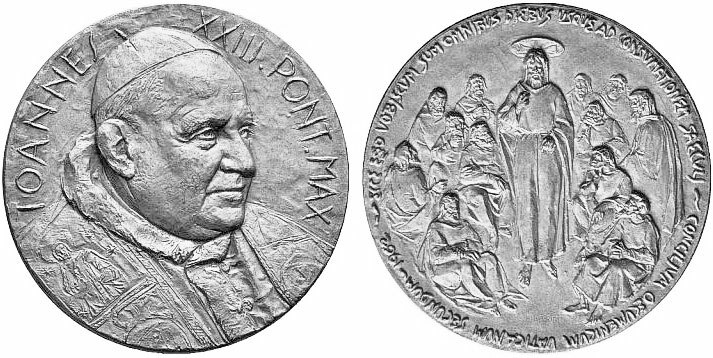 Obverse: John XXIII right. Reverse: Christ at the center of 12 apostles. 49.5mm across, silver over bronze.